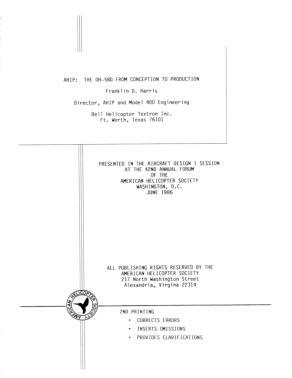 AHIP: The OH-58D From Conception to Production (2nd edition, corrected, enlarged) - Vertical Flight Library & Store available. F.D. Harris, Bell Helicopter Textron, Inc. 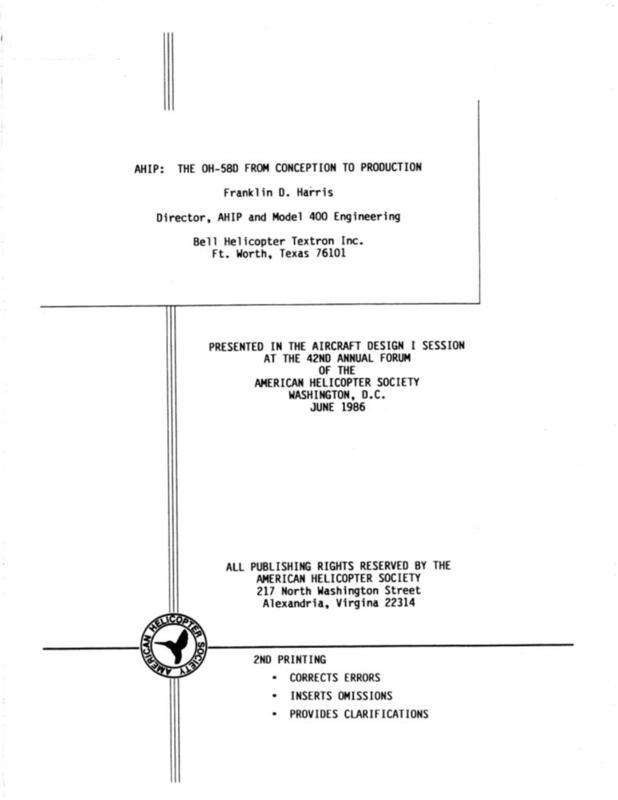 Note: the original, 10 page paper as published is also available. February 2017 Paper of the Month. Authors / Details: F.D. Harris, Bell Helicopter Textron, Inc.